Conor McGregor hailed Russia president Vladimir Putin as “one of the greatest leaders of our time” after the UFC star was a guest at the World Cup final. McGregor was invited to the Moscow showpiece by Putin as France lifted the trophy for a second time thanks to a 4-2 win over Croatia on Sunday. And the Irish fighter used Instagram to thank Putin following the conclusion of the tournament in Russia. 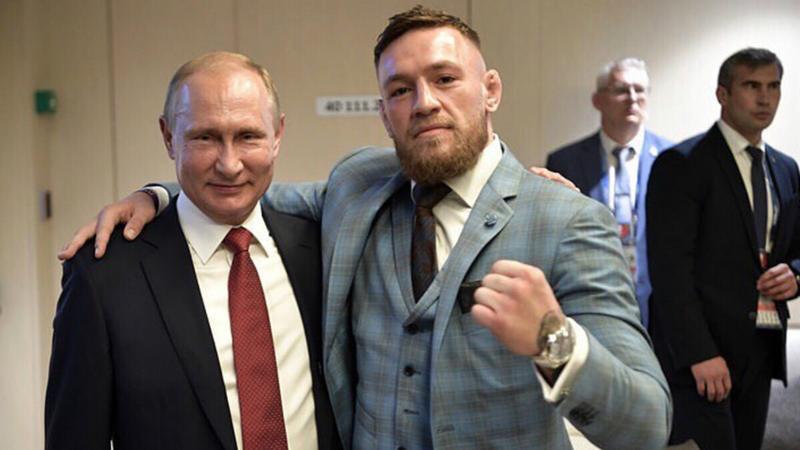 “Today I was invited to the World Cup final as a guest of Russian president Vladimir Putin,” McGregor wrote after posting a photo alongside Putin.